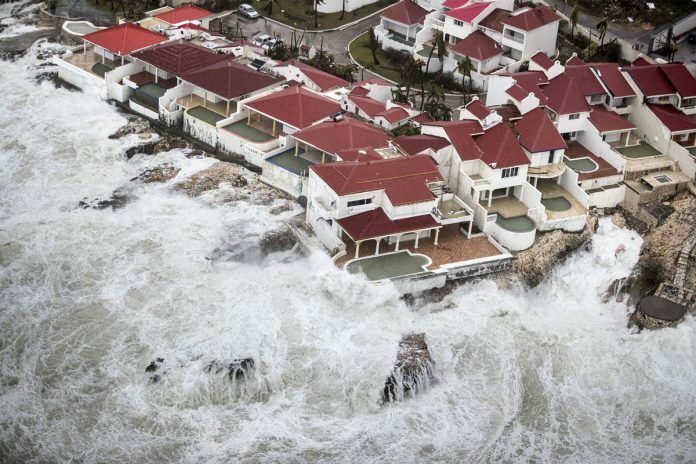 Devastation from Hurricane Irma in the Caribbean will sharpen the demands from small island nations that top fossil-fuel consumers help them cope with damage attributable to climate change, according to representatives of some of those countries. That will put island nations on a collision course with the United States and other rich countries during United Nations climate talks in Bonn, Germany, in November. The United States, under President Donald Trump, has expressed doubts about global warming and has vowed to withdraw from a global pact to fight it, while other wealthy nations have long resisted calls to pay for climate-related “loss and damage” abroad. ”If ever there was a case for loss and damage, this is it,” Ronny Jumeau, U.N. ambassador from Indian Ocean island nation the Seychelles, told Reuters, referring to Irma and other recent storms. The Seychelles is a member of the U.N. negotiating bloc Alliance of Small Island States (AOSIS). “Hurricane Irma graphically shows the destructive power of climate change and underscores that loss and damage isn’t some abstract concept, but the reality of life today for the people who contributed least to the problem,” said Thoriq Ibrahim, Maldives’ environment minister who chairs AOSIS. Fiji Prime Minister Frank Bainimarama, whose country will host the Bonn talks Nov. 6-17, has said the issue of who pays for “loss and damage” from climate-related disasters will be a key priority at the summit. Hurricane Harvey slammed into Texas on Aug. 25, triggering record flooding that killed around 60 people and caused billions of dollars in damage. Ministers from island nations will point to the back-to-back storms to pressure negotiators at Bonn to agree to details of a mechanism for addressing loss and damage from extreme weather as well as slower changes such as sea level rises and desertification. Climate scientists have said warmer air and water resulting from climate change may have contributed to the severity of the storms. The U.S. Environmental Protection Agency has disputed such claims as an attempt to “politicize” natural disasters. Loss and damage has been a contentious issue in climate negotiations for years, pitting rich countries against poor. Governments first approved a U.N. “loss and damage mechanism” in Warsaw in 2013 and reaffirmed it in the 2015 Paris Agreement. But it is unclear exactly what it would cover, who would pay, and how much it would cost. Under pressure from the rich nations, the preamble of the Paris Agreement says the loss and damage mechanism “does not involve or provide a basis for any liability or compensation”. Myles Allen, a professor of geosystem science at the University of Oxford in England, said developed nations don’t want to open the door to legal liability. But he said there should be debate about whether major corporations, such as producers of coal and oil, or other parties could be held responsible. Researchers at the Berlin-based Heinrich Böll Foundation have said at least $300 billion a year by 2030 would be needed to help people who lose their land and culture or are forced to migrate as a result of extreme climate-related problems. Such spending would come on top of $100 billion a year in funding by 2020 that richer nations have promised poorer ones under the Paris Agreement to help them develop cleanly and adapt to climate change. Trump and the U.S. Congress have said the United States will no longer contribute to that goal. Recent powerful hurricanes will fuel climate talks, and demands from small island nations to cope with damages they mainly attribute to climate change.